M&P can make custom FEP Machined Parts to your specifications or drawings. We have a plastic machine shop; FEP is one of the plastics we can use to make parts. 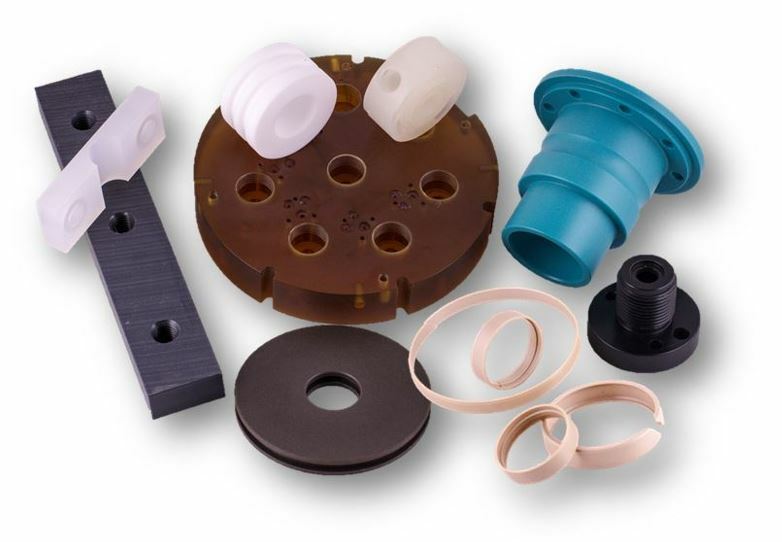 FEP is a relatively soft thermoplastic with lower tensile strength, wear resistance, and creep resistance than many other engineering plastics; however, it is chemically inert and has a low dielectric constant over a wide frequency range. FEP possesses a very high degree of stress crack resistance, a low coefficient of friction, exceptional dielectric properties, heat resistance, retention of properties after service at 400°F (204°C) with useful properties at -454°F (-270°C), and meets FDA 21 CFR 177.1550. FEP has high transparency (with good transmittance of Ultraviolet and visible wavelengths). FEP offers the lowest refractive index of all thermoplastics with low light reflection (the same as water). FEP Machined Parts are made in a completely controlled environment. FEP O-rings, FEP Seats, FEP Bushings, FEP Bearings, FEP Guide Blocks, FEP Wear Pads, FEP Washers.